RightSignature is a cloud-based e-signature solution that allows users to send and share documents and forms for immediate, digital review and approval. RightSignature allows users to send documents via a secure link in email, or embed the document code into the business website. 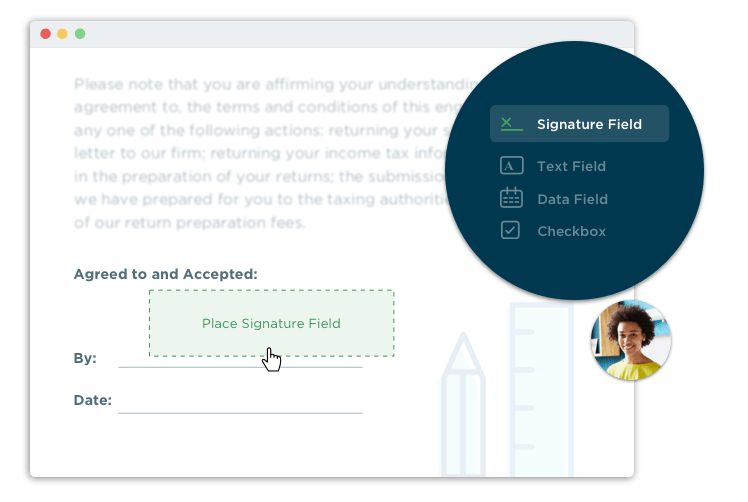 Users can send existing PDFs for online signatures, generate customized forms for audience completion, and create documents in one click with RightSignature’s automatic field detection. RightSignature removes the need to print documents, and can include multiple party members for needed approval. Team members can simultaneously view documents and collaborate before approval, and multiple documents can be sent at once. Professional, customized branding allows all documents to resemble company letterhead and marketing materials. Users can sign documents with a real, hand-drawn signature for authentic-looking contracts. The RightSignature platform includes a step-by-step guide for new users. The navigation flag and live progress bar help reduce errors and omissions. RightSignature allows users in the field to collect in-person e-signatures with a tablet or smartphone. Users can open, review, and sign documents from any mobile device. Electronic contracts have the same legal validity and enforceability of pen-and-paper documents, when executed in compliance with e-signature laws. Every RightSignature document is secured with full audit log, biometric data capture, and 256-bit encryption. Not sure if RightSignature is right for you? Use our Product Selection Tool to compare other e-signature solutions. Have questions? Call one of our unbiased Technology Advisors for a free consultation. Learn everything you need to know about RightSignature. Our experts will reach out to you shortly.